It’s winter in these parts. Which means there can be snow on the ground one day and I can be wearing shorts the next (this actually happened last week.) But one thing is consistent during this time of year - the dry air. And that means dry skin. So with three little ones, I go through a lot of lotion to keep them from getting dry patches on their skin. I recently got the opportunity to try out a brand called Little Green. They boast all natural ingredients and products that are intentionally formulated for sensitive skin. 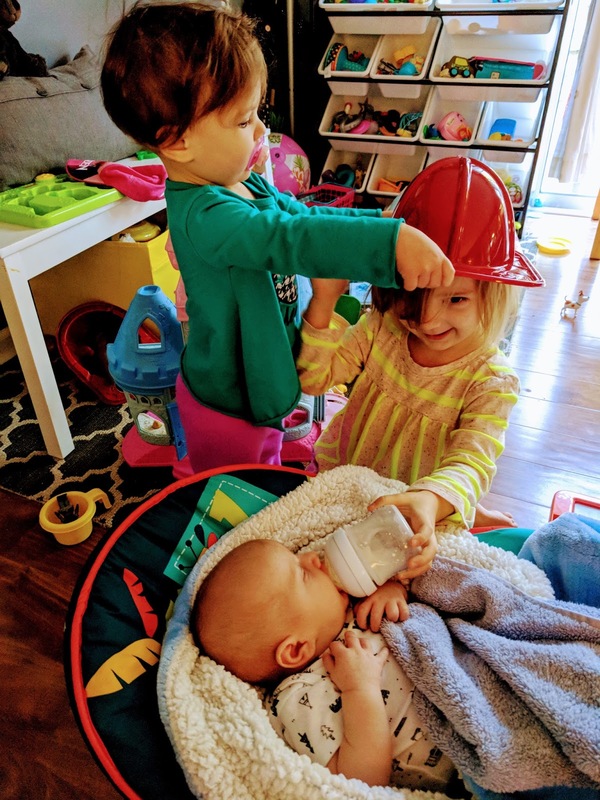 Sounds great, I thought, since all three of my kids have sensitive skin (maybe it’s just a baby thing?). The company was founded by a grandfather of eleven who had been in the beauty product industry for over 40 yrs and realized that the products his grandchildren were using were just not good enough for them. They continually had issues with skin allergies and sensitivity issues. So he developed the Little Green product line to live up to the claims of being hypoallergenic, free of parabens, sulfates, and allergens and clinically and dermatologically tested. Little Green sent me the Baby Essential Kit which consisted of a baby shampoo & body wash, nourishing body lotion and a soothing balm stick. 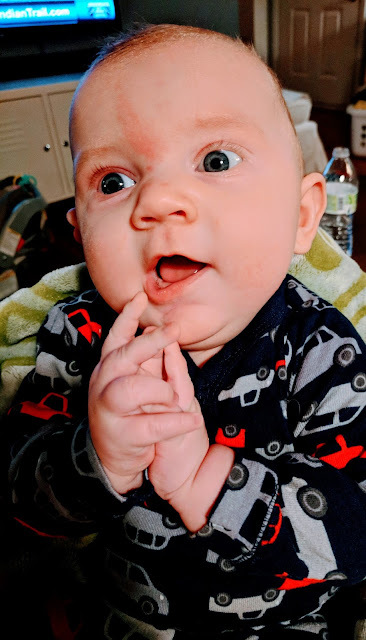 I used the baby shampoo on my three-month-old son and one thing I liked about it was that it was creamy but rinsed off clean. Have you ever had to rinse and rub repeatedly to get the residue of a baby wash off? Annoying. Not so with Little Green. Next, I used the nourishing body lotion on him. I was pleasantly surprised that it went on smoothly and absorbed right away, leaving the skin soft and moisturized but not tacky. I’ve used “natural” products before that leave a thick sticky residue on the skin and take forever to absorb so I was happy that the Little Green lotion did not have that effect. I picked him up and smelled him and oh. my. word. He smelled so good. It was a light clean scent and I couldn’t put my finger on it exactly, but it is heavenly! It is like clean laundry mixed with baby powder mixed with sweet almond. Very nice. I think I smelled him all night (and I might of used some for myself...ok, I definitely did. Do they make perfume too??? ). I tried out the soothing balm stick and used it like a lip balm. It also absorbed nicely and left my lips feeling moisturized. It is an all-purpose product so you can use it on dry patches, lips, noses etc. My overall takeaway from trying these products is that they are really nice: good scent, effective, gentle and long-lasting (my son’s baby skin is still baby soft and moisturized 24 hours later). 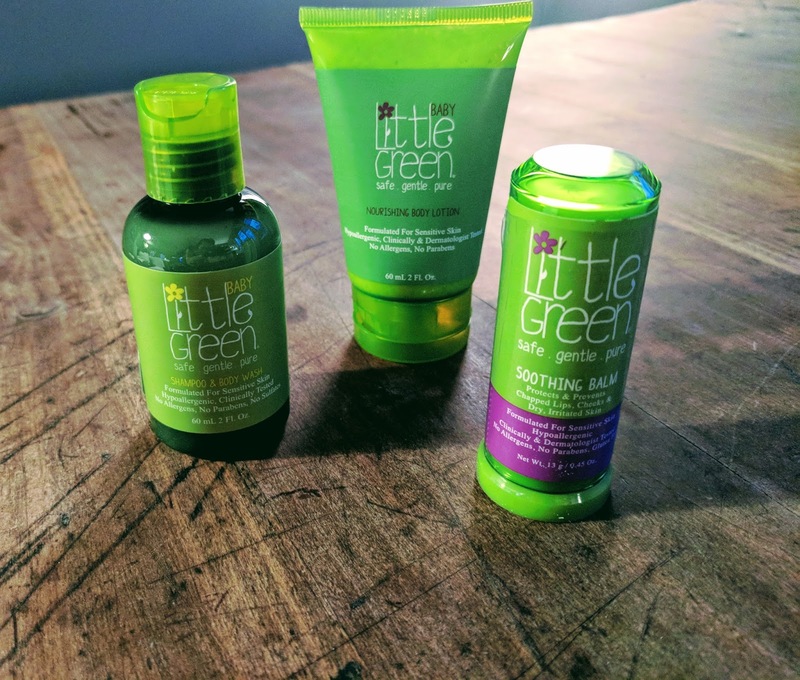 I would definitely recommend the Little Green product line if you are looking for a natural product for sensitive skin that actually works. 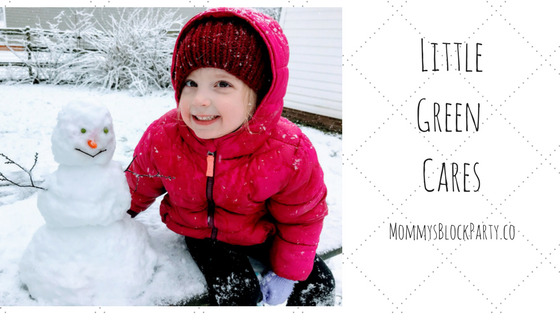 Head on over to Little Green to learn more about their wonderful products. Buy it in the MBP Amazon Store! I come to this place every now and then. The place is really nice, the crowd is full of regulars, and the food and drink specials are pretty good! The event venues staff is great and really gets to know your name. Totally worth your time on any night for good food and drink.